Engineers at Reddit are deploying code up to 200 times each week — a typical roll-out takes fewer than 10 minutes end-to-end. An open-source multi-cloud continuous delivery platform originally built by Netflix that helps you decouple your release pipeline from your target cloud provider. GitHub recently revamped their approach to how they handle DNS, building a new DNS infrastructure that could scale along with their growth. 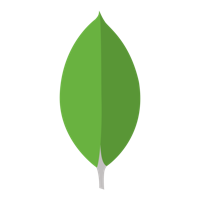 This free, 3 week, online course offered by MongoDB University will take you through the fundamentals of MongoDB from installation to schema design. Yelp has over 100 million user-generated photos — here’s how they optimized those snaps, achieving an average 30% size reduction. A framework for building repeatable, containerized, cloud-based infrastructure as code with Kubernetes. EC2 Container Service now supports launching ECS clusters onto cheaper spot instances. This could give you huge savings if your use case supports it. DO users can now lean on DigitalOcean for firewalling their instances/droplets. Security rules can now be defined in the control panel rather than handled server by server. Træfik is a configurable HTTP reverse proxy. How to set up a Docker environment and “get up and running in minutes”. See how Rollbar pairs perfectly with APM tools to give you greater coverage + much more insight into application errors. How the growing CDN market is changing thanks to new players, scale and security. Or why a company is moving to GCP from AWS. Systems that make it easy to automatically manage IAM roles and policies at a large scale. zetcd sits in front of an etcd cluster and serves an emulated ZooKeeper client port, letting unmodified ZooKeeper applications run on top of etcd. A new Heroku-powered tool designed with strictly regulated/high compliance industries (such as healthcare) in mind. Delivers “new capabilities that render container contents more visible and more verifiable”.